John's Labour blog: Has the public sector pay cap kept up with rising prices? 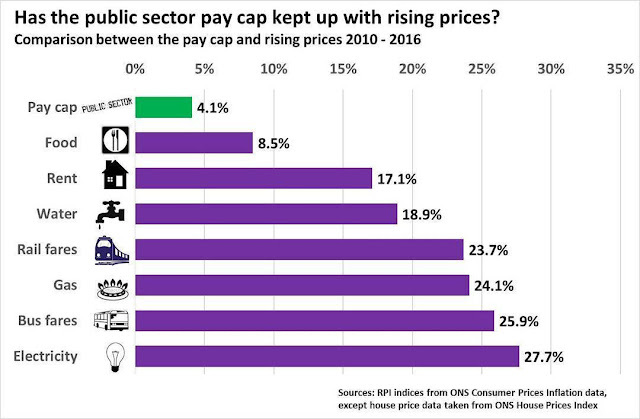 Has the public sector pay cap kept up with rising prices? The answer is No. A really informative chart that shows why so many public sector workers and their families are living in poverty and need a real pay rise.